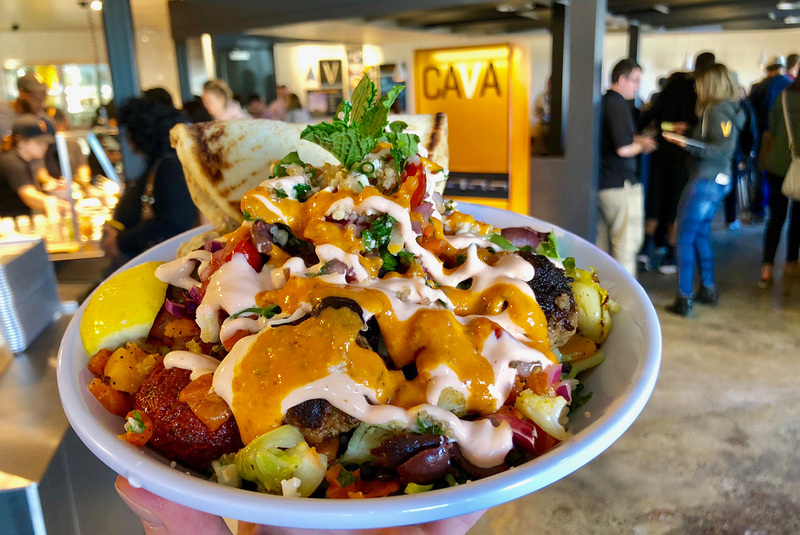 CAVA, a Washington-based fast-casual Mediterranean chain, is now open in the space formerly occupied by Fuel Pizza in Park Road Shopping Center. 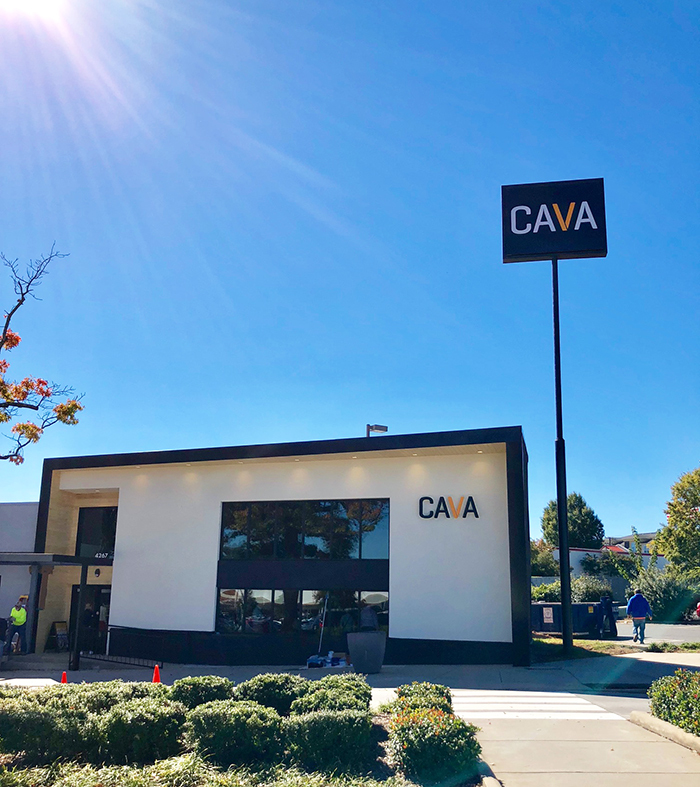 This is CAVA’s third Charlotte area location — others are in University and Huntersville. 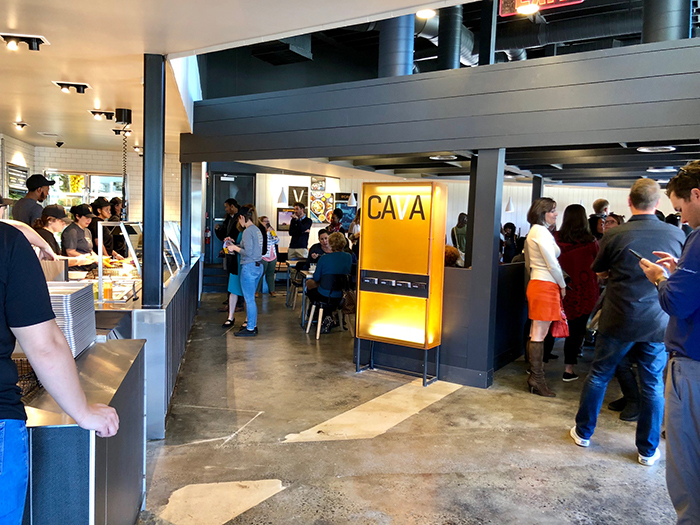 In addition to these locations, CAVA also has restaurants planned for Atherton Mill and Waverly. 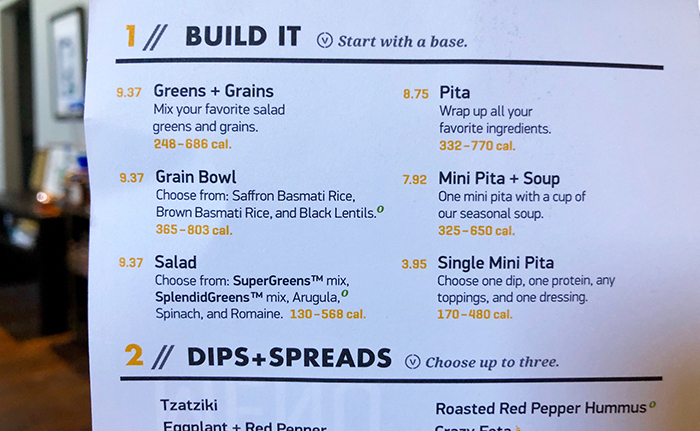 CAVA’s menu features dozens of greens, grains, dips, spreads, proteins and toppings used to create customizable bowls and pita wraps. 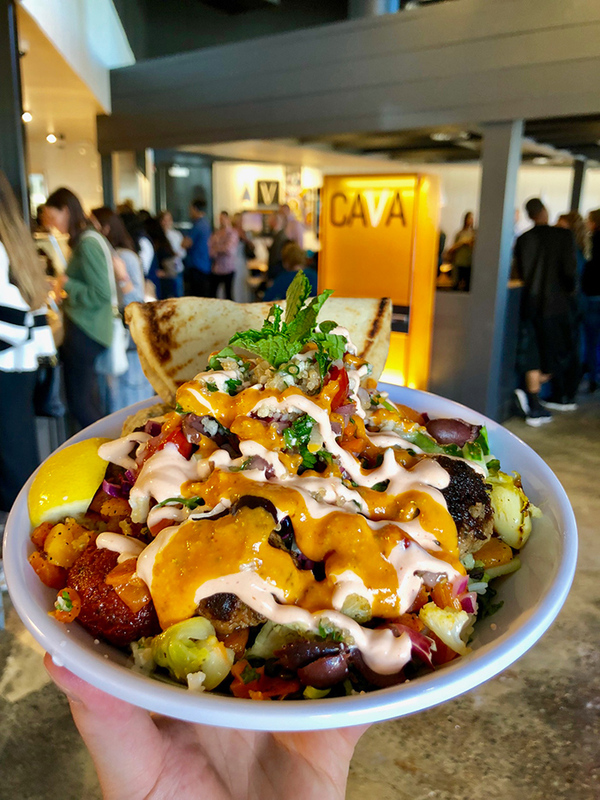 Locally, the closest comparison would be Yafo (although I think Yafo tastes materially better) which also just expanded into Plaza Midwood and will open a Dilworth location in December. 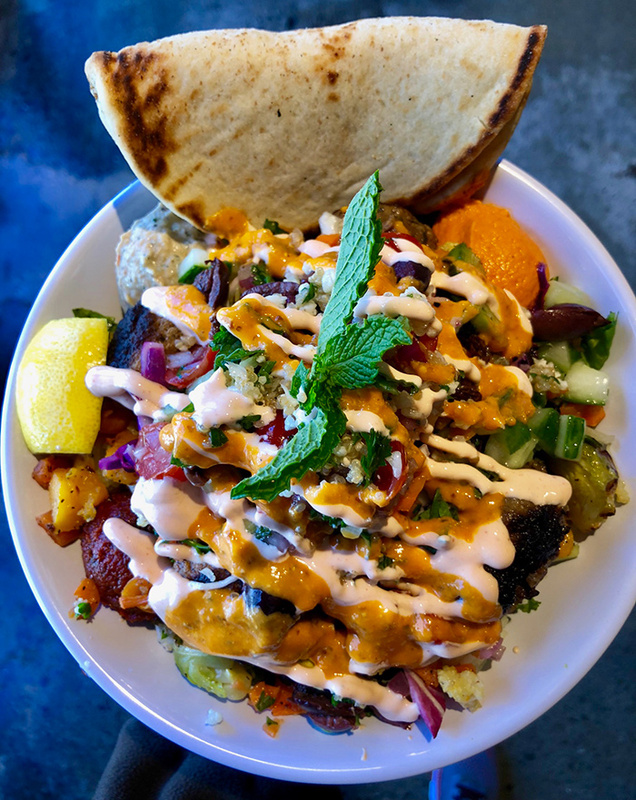 Both concepts feature eastern Mediterranean staples like falafel, hummus and harissa. 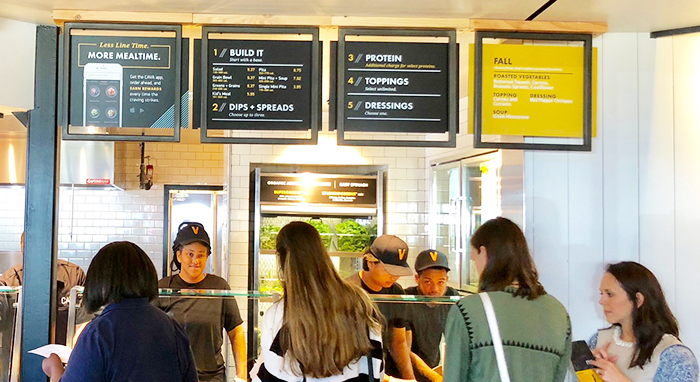 Ordering at CAVA is similar to ordering at Chipotle — without signature menu items, it’s up to you to build your own. For a CAVA first timer, the customization options are pretty overwhelming. 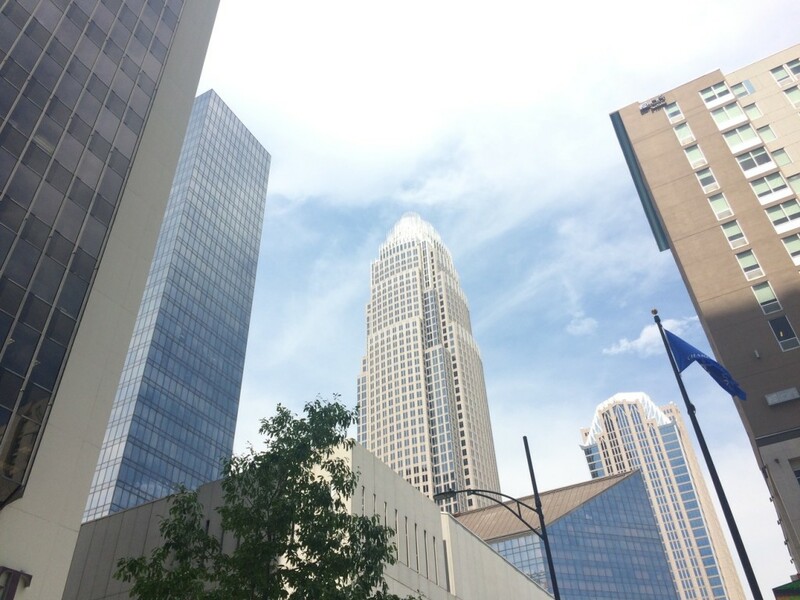 You’ve got about 59 million possible ingredient combinations. 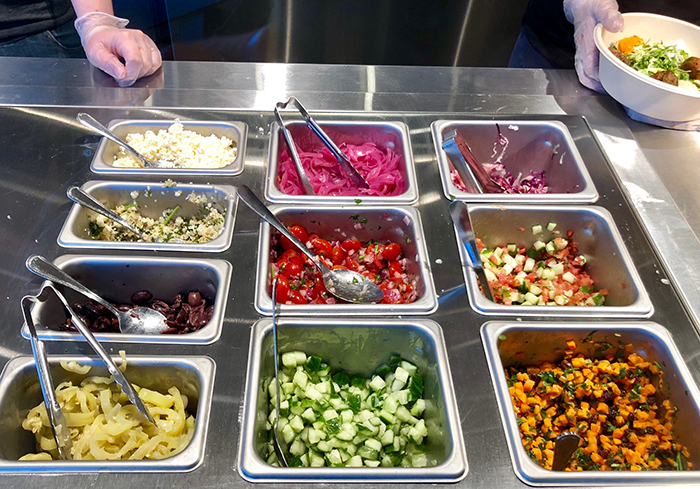 I’m a signature menu item guy (shout out Yafo Schwarma bowl), so I wish I didn’t have to pull all the right flavors together myself. 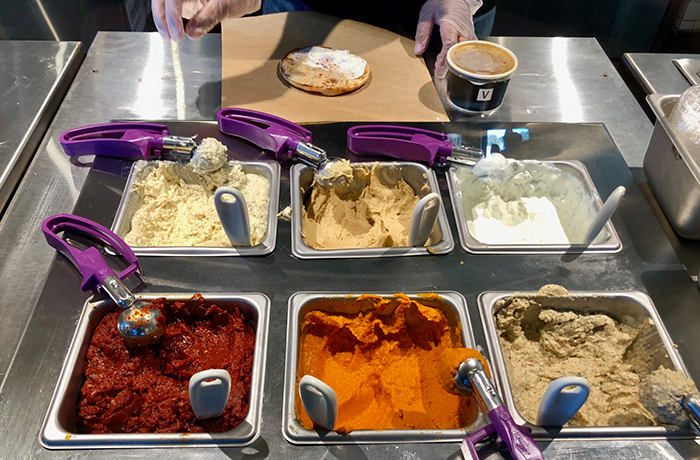 I always add too many toppings. 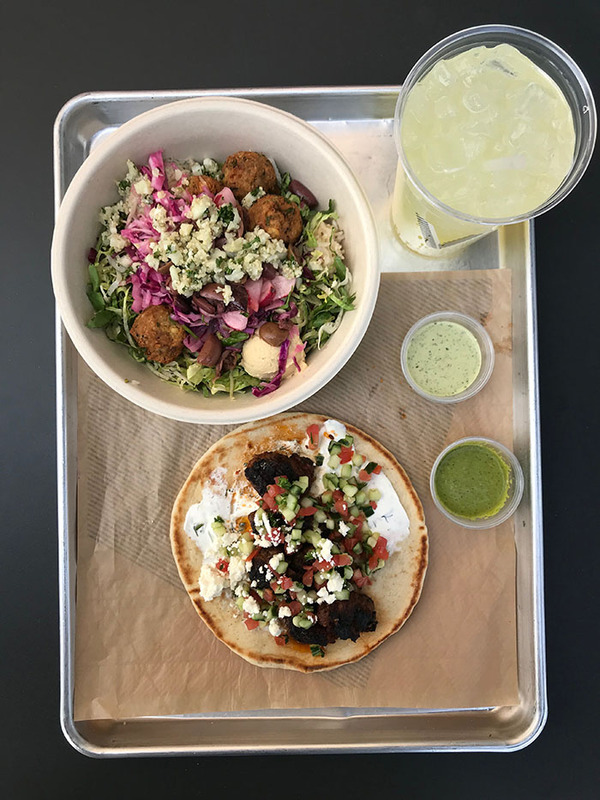 Proteins: Grilled chicken, falafel, grilled meatballs, seasonal roasted vegetables, spicy lamb meatballs (+$1.45), braised lamb (+$1.45).